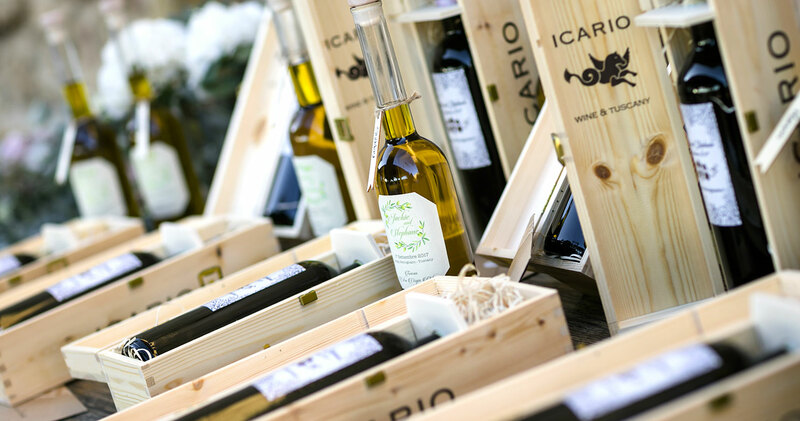 It is nice to give to your guests a present that will remind them of their experience in Tuscany. We can create nice typical favours with our fantastic products such as olive oil or limoncello or special jams. We are not only a wedding planner studio but we have a Travel Agent’s licence so we can “legally” organize fantastic TOURS and WINE TOURS with professional english speaking drivers with private cars or coach depending on the number of participants. What do you think about a fantastic Pic-Nic with the Val d’orcia landscape as a backdrop? Do you want to learn how to make the best, typical Tuscan recipes? Create and have fun with your hands in the pasta!!!! When you get home you can try to do it again and amaze your friends who will be happy to taste the food. Usually, a wedding group holds an informal dinner before the wedding. The group can become familiar in a more informal environment. Since it is a different party compared to the wedding it can be done in a more typical and informal way with music and decoration. In Indian culture a wedding is not just one big day event but more than one day, the Mehndi or Henna party is the pre-wedding celebration, Mehndi infact is a form of body art done with henna. An artist during the party draws henna tattoos freehand on the bride-to-be’s and to her bridesmaids arms and legs.